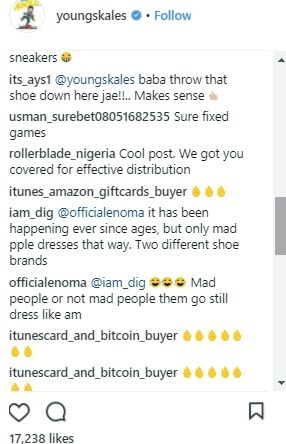 Home / Entertainment / Gossip / news / Fans Shreds Singer Mr. Eazy For His Dress Sense - "You Look Like A Got"
Fans Shreds Singer Mr. Eazy For His Dress Sense - "You Look Like A Got"
Sometimes I just wonder how or what Otedola's daughter, Temi Otedola see in this guy to take him as her boyfriend. His dressing sense is wack and him no come fine join am. No be say I dey die for another man matter but the guy dey provoke me jor. It can't be money, I'm sure of that cuz Temi can't finish his papa money let alone to hers. The only thing I can think of is that the guy has a cannon between his legs. Which is what every lady wants even though the timid ones deny it but that is the simple truth. Ok tell me, which kind of dressing be this now? Is he doing rag day? 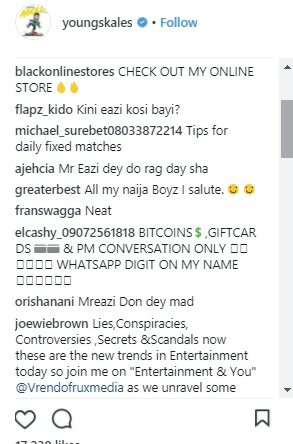 Well sha no be only me dey vex that way. 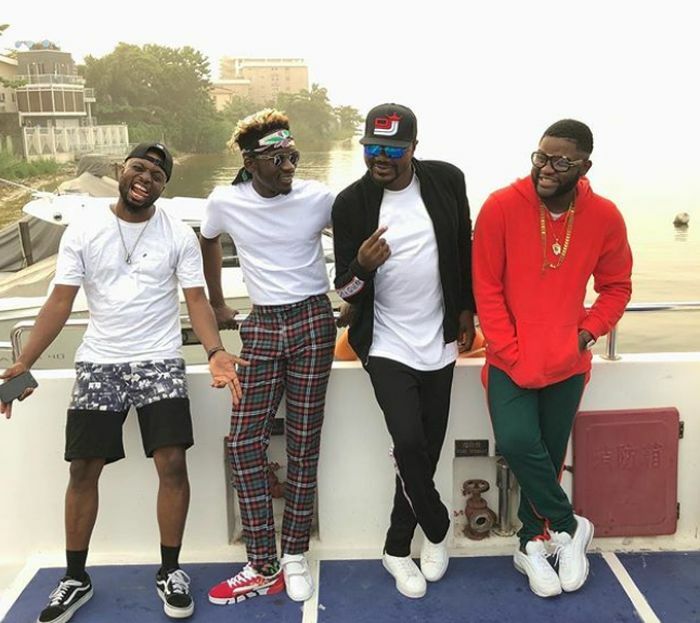 Almost all his Nigerian fans are just not here for singer Mr. Eazi as he was severely dragged for the way he dressed in a photo shared by fellow artiste Skales. The SKINTIGHT crooner in the photo, had two different pair of sneakers, a dressing that irked many as they took turns to shred him to pieces.